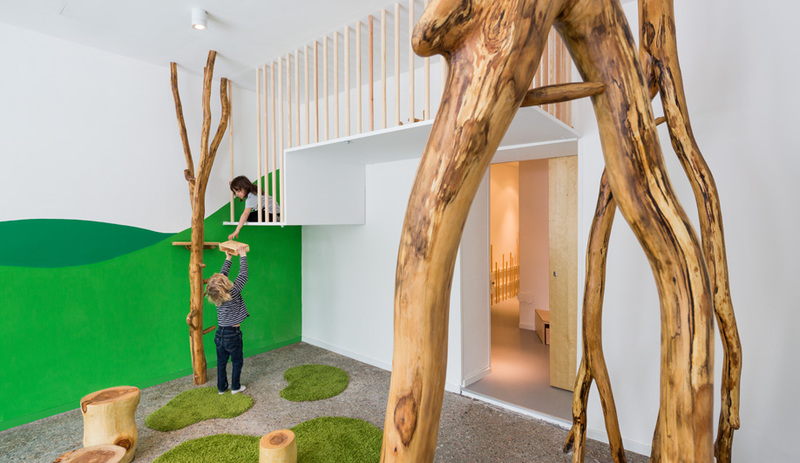 Local firm Baukind revamps a former salt sauna and brings the outdoors in, to create a minimalist but fun kindergarten. 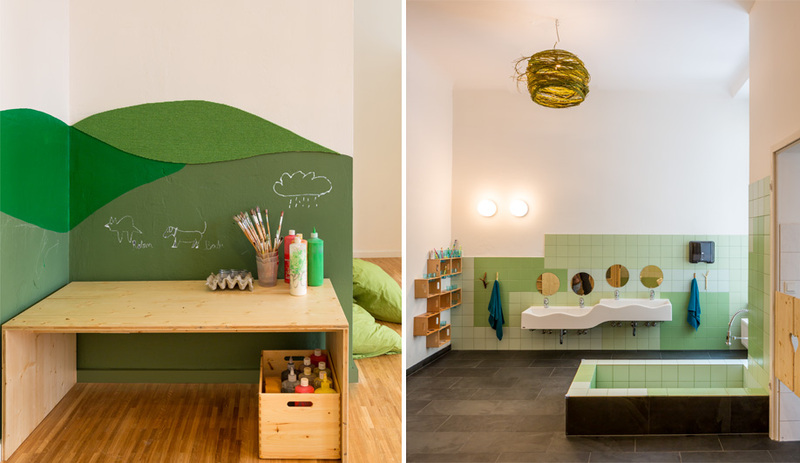 Designing for children is the name of the game for architect Nathalie Dziobek-Bepler and designer Lilia Kleemann of Berlin’s Baukind. 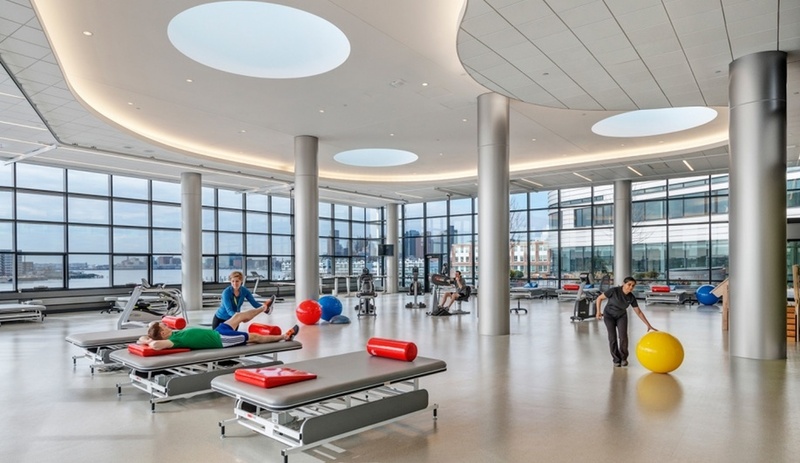 The duo specializes in crafting educational spaces for wee ones, and their services have also included finding the appropriate property and submitting funding applications. 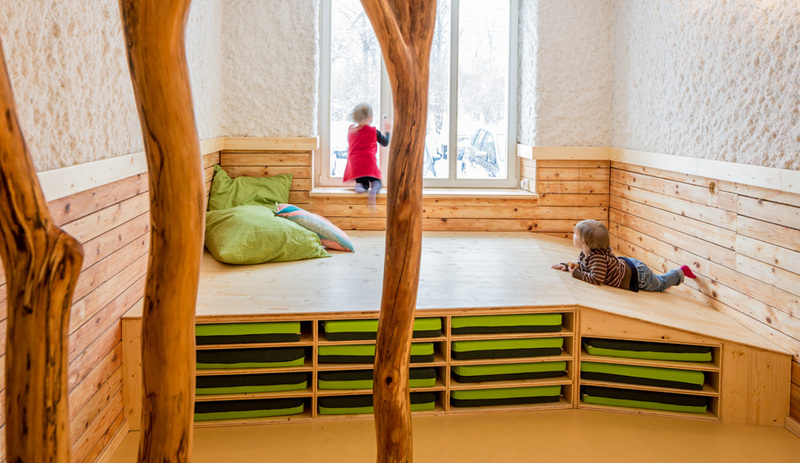 To craft their latest kindergarten, a 200-square-metre interior called Drachenhöhle (Dragon Cave) for the non-profit company Drachenreiter (Dragon Rider), which builds and runs nurseries and daycares locally, the firm demolished most of the former sauna, leaving only the original framework, the tactile salt walls and – for the children’s washroom – a little sauna cabin. 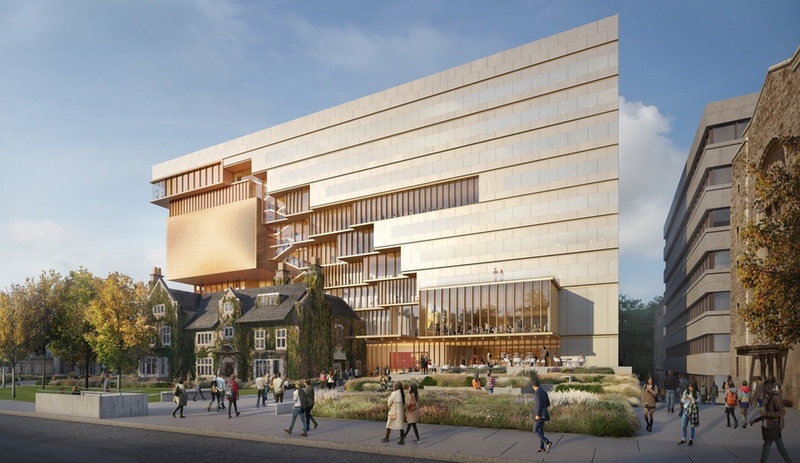 While the name might suggest an interior inspired by a dramatic and fanciful tale, the space is decidedly down to earth. The palette features organic shapes, warm colours and natural materials that bring an outdoorsy feeling to the multifunctional play, storage and learning zones. 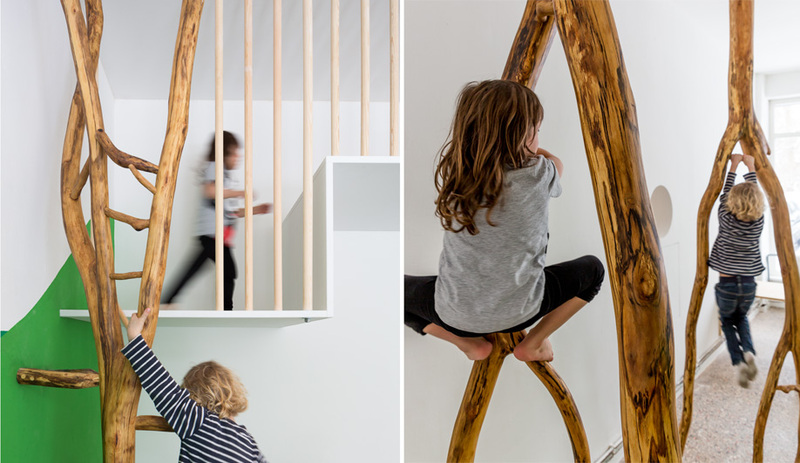 In the playrooms, for instance, local jungle gym maker Badabaum installed floor-to-celling wood tree trunks, encouraging indoor climbing and exercise. 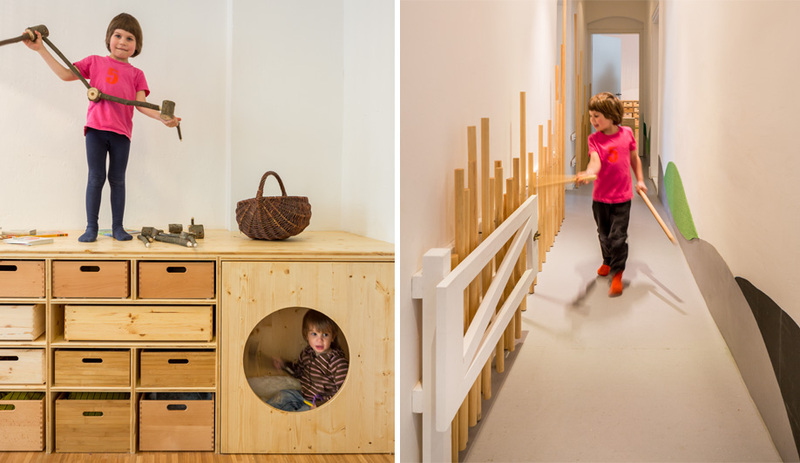 In other rooms, wooden tunnels that serve as benches and platforms also offer storage and play areas, while the hallway doubles as an instrument – with a stick, the kids can lightly rap at the hollow dowels planted against one of its walls. The dialogue between rooms is carried throughout. Most of the walls are painted with verdant rolling hills; and the tree motif carries on to the mudroom, outfitted with coat hangers constructed from salvaged wood scraps. In the bathroom, with its shades of green tile, there’s a twiggy pendant light and a stacked wood shelf that features cutouts for individual drinking cups. The distinct visual language overall provides a warm yet structured environment for little ones. But the kindergarten’s multifunctional features and pared back palette stimulate the imagination.